Apple's supply chain partners have ramped up production for components to be used the company's upcoming second-generation iPad Air, reports Digitimes. Citing sources close to production, the report claims that the device will remained unchanged in terms of size and resolution, but will feature a thinner profile, faster processor, and an improved Touch ID fingerprint sensor. Apple has also called on touch panel suppliers TPK and GIS to manufacture full-lamination units for the device ahead of its launch this fall. The source also notes that Sharp, Japan Display, and LG Display have also seen their orders increase for the iPhone, likely indicating that Apple is now mass producing screens for the iPhone 6. Previous leaks have also pointed to a thinner profile for the iPad Air 2, along with reports claiming that the device will feature anti-reflective coating, and an improved Touch ID sensor. It is also most certain that Apple will include a faster processor in the iPad Air 2, as the company will likely integrate its new A8 chip in the device. 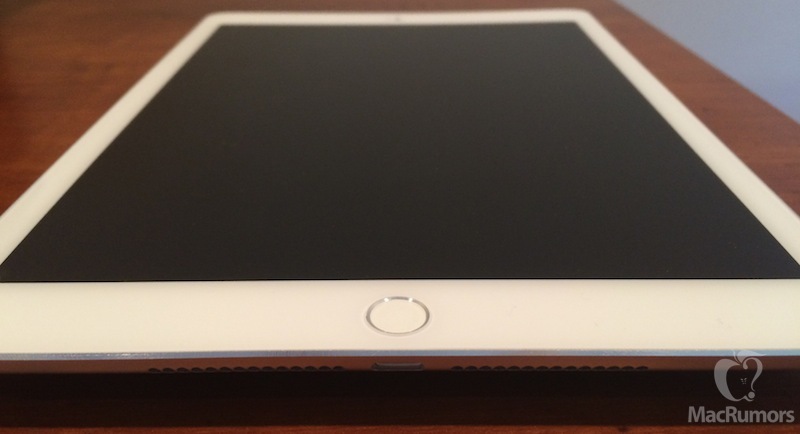 Apple will likely launch the iPad Air 2 alongside the next-generation iPad mini with Retina display this fall. The company is also said to be preparing to launch a 12.9-inch iPad in early 2015. FFS Apple it's thin enough right now! It's not thin enough until the camera sticks out. We can all agree that thinner and lighter still is welcome on the iPad. The Air was a huge improvement in that area. But on the iPhone it isn't. Maybe in bigger models, but the 4" is thinner and lighter enough. Battery is more important. Thinner? Started to doubt the 2gb of RAM we all want. Prove me wrong, Apple! This is definitely the iPad I'm upgrading to from the iPad 3. If your experience is like mine, you're going to love TouchID. I was skeptical at first, and really didn't think TouchID would make any difference in how I used my iOS devices. But after I bought an iPhone 5s, unlocking my iPad mini seems like such a chore. That's why they put it in that 1.5" thick box that contains mostly air? Haha that's nothing compared to the original iPod boxes :D Such a waste of space! Reminds me of the old PC game boxes which were the size of 3 textbooks and inside was just a single CD jewel case!